On August 22, 1911 the Leonardo Da Vinci masterpiece, the Mona Lisa, was stolen from the Louvre Museum in Paris. It took a couple of years to recover the painting. It had been taken by an Italian nationalist who hoped to repatriate the painting back to Italy. Carson Morton was inspired by that story to write his own fictional version of a crime involving the theft of what is now probably the most famous painting in the world. 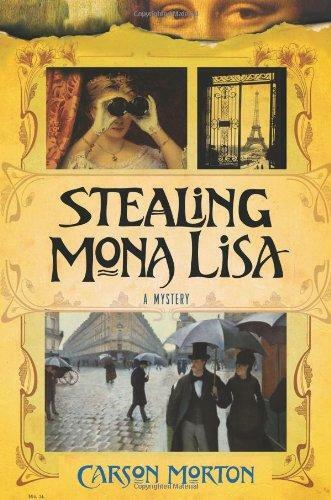 In "Stealing Mona Lisa" readers discover a gang of artistic charlatans who are peddling forgeries of famous paintings to greedy robber barons in Gilded Age America. Morton imagines a cast of exotic characters here who are led by an aristocratic grifter. There are art forgers, an American pickpocket, and a former Parisian street urchin. Morton transports his readers from Argentina to Paris and into the lavish palaces of the rich and gullible.